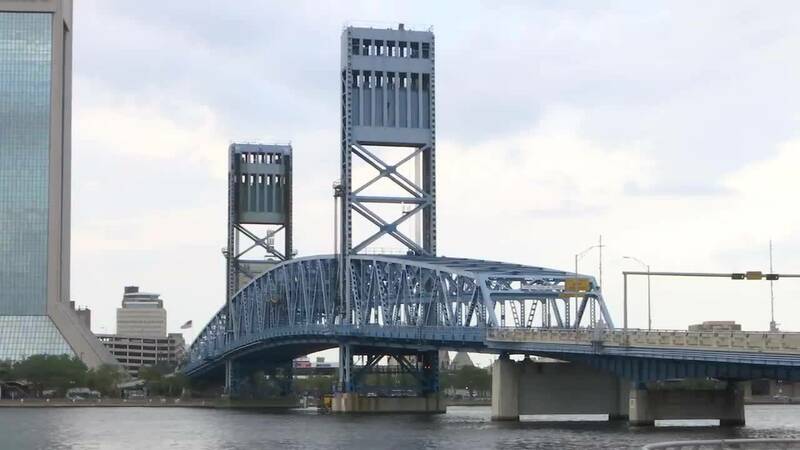 JACKSONVILLE, Fla. - Jacksonville’s Main Street Bridge will be closed Monday from 6:30 p.m. to Tuesday at 6 a.m. and will close nightly this week and be completely closed the next two weekends as crews reinstall an overhead temporary work platform that was removed from the bridge as a precaution in preparation for Hurricane Irma. Once the platform is reinstalled, crews will continue to work on rehabilitation of the bridge. Monday, September 18 from 6:30 p.m. to 6 a.m.
Tuesday, September 19 from 6:30 p.m. to 6 a.m.
Wednesday, September 20 from 9 p.m. to 6 a.m.
Thursday, September 21 from 6:30 p.m. to 6 a.m.
Tuesday, September 26 from 6:30 p.m. to 6 a.m.
Wednesday, September 27 from 9 p.m. to 6 a.m.
Thursday, September 28 from 6:30 p.m. to 6 a.m.
During closures, both vehicular and pedestrian traffic will be detoured to the Acosta Bridge. Signs will direct traffic through the detour. Boaters will not be impacted by the closures. M & J Construction of Tarpon Springs was awarded the $10.7 million contract. The project is expected to be completed in fall 2017.